Organizations spend incredible amounts of capital and energy into their technological assets. However, without proper strategic planning, firms may fail to realize the true potential of investment. At Rete Consulting, we provide you technology planning services to help you build an IT infrastructure that becomes the foundation for growth, agility, and long-term success. Research suggests that 10% to 20% technology budget of an average firm is used inefficiently or wasted. This not only leads to efficiency and performance gaps, but also damage a business’s bottom-line. The problem can only be addressed with a comprehensive strategic plan that has been developed keeping the precise needs of a business under consideration. However, businesses often lack time, expertise, or motivation to evaluate and streamline their technological resources. 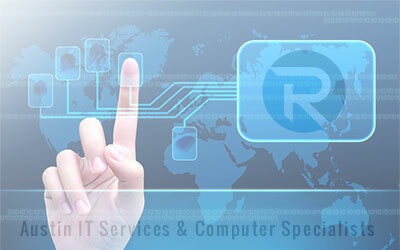 At Rete Consulting, we help you address the problem with our technology planning services. With an ability to interpret your precise business needs and in-depth knowledge of technological solutions, our experts develop an IT strategy that is synchronized to your business goals. The objective of our technology planning services is to develop a strategy that aligns your technological resources with your needs and facilitates attainment of your strategic objectives. For this purpose, we follow a standardized approach that involves a thorough assessment of your IT challenges, your existing IT infrastructure, and your business objectives. On the basis of findings obtained from this assessment, our experts then develop a strategy that helps you overcome all the IT-related changes and prepares your business for tomorrow. Our technology planning services promise you tangible results in terms of performance, reliability, and efficiency. To learn more about our technology advisory and planning services, you may call us at (512) 596-5001. Contact our service representatives for a free quote.